There was no outlook written for Jermaine Carter in 2018. Check out the latest news below for more on his current fantasy value. $Signed a four-year contract with the Panthers in May of 2018. Carter will draw his first start at linebacker in Sunday's game against the Saints. 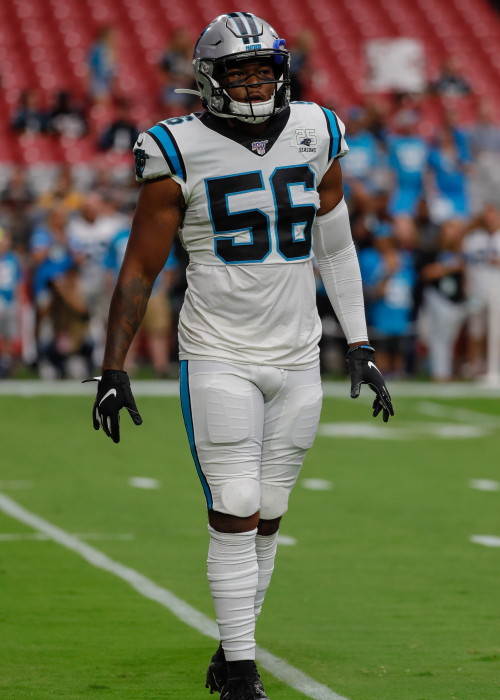 Carter saw his first significant action of the season in last week's game against Atlanta, where he played 23 defensive snaps and recorded two tackles (one solo). He'll figure to see a much larger workload against New Orleans on Sunday while starting alongside Luke Kuechly and Thomas Davis. The Panthers selected Carter in the fifth round of the 2018 NFL Draft, 161st overall.